born circa 1860 in Mexico. 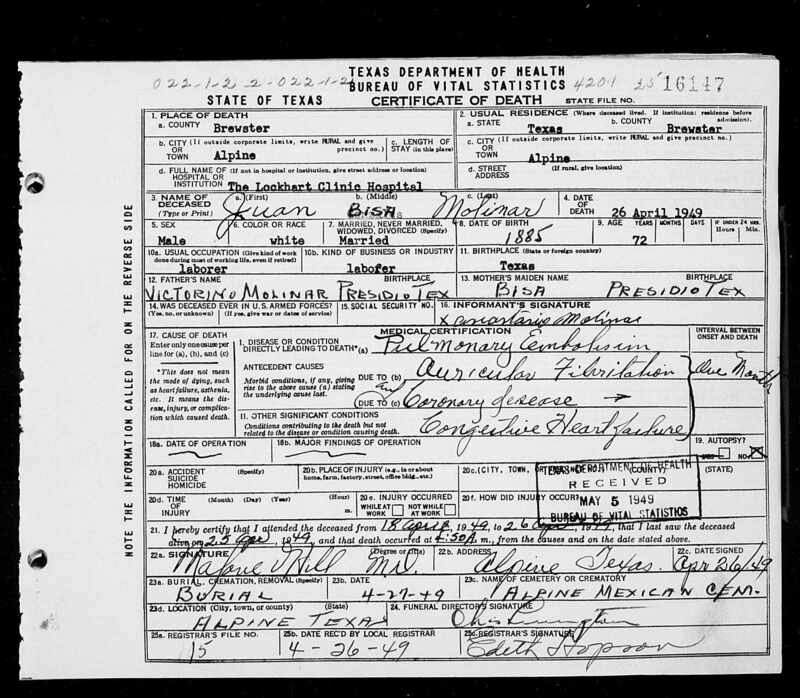 born circa 1886 in Presidio, TX. married Filberto Gonzalez circa 1906. He was born in Presidio in June 1882. In 1910 they were living along the River west of Presidio where he was working as a farm laborer. 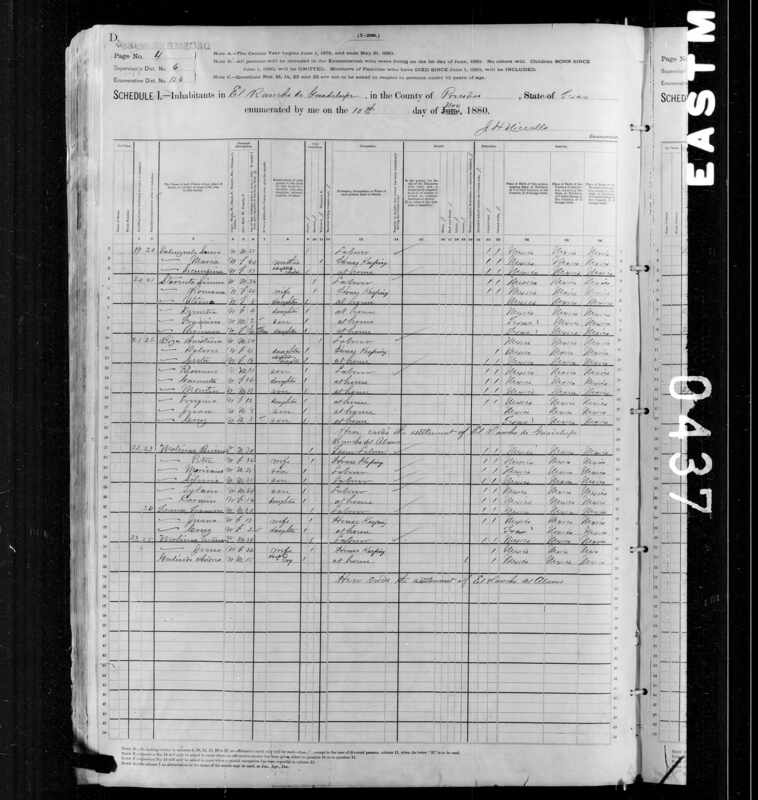 The 1880 US Census shows three households in two homes making up Rancho del Alamo on Nov 10, 1880. Vicente Molinar [misspelled "Biecenta"] lived in the first home on line 21. Vicente's 17 year old daughter Juana, her husband Francisco Franco, and their 2 yr daughter Cruz were living in Vicente's house. Their household starts on line 27. Vicente's son Victoriano Molinar 34 lived in the next home with his 2nd wife Jesús 22 and their adopted son Andres Galindo age 15. Note that Victoriano had three wives. The census shows an adopted 15 year old son named Andrés Galindo. By the 1990 census ten years later he was married to his 3rd wife, Rosario Galindo Mesa. This page was updated November 8, 2018.